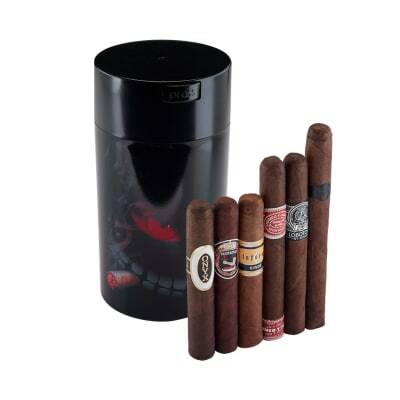 If mellow, easy-going cigars are your thing, then prepare to ascend to the loftiest heights of relaxation! 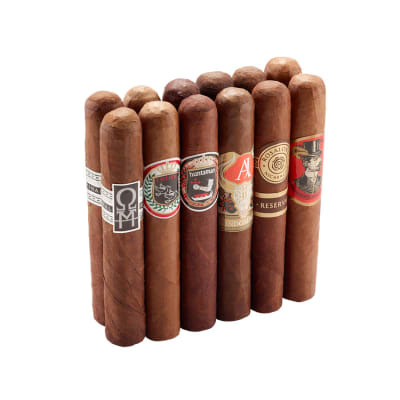 This 12 cigar, herf-ready collection offers a true flight-style introduction to some of the smoothest smokes in the Famous humidor. 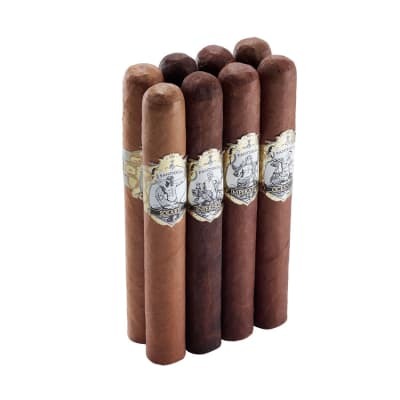 Featuring 2 from some of the top names in the business: AJ Fernandez, Joya de Nicaragua, Plasencia and more. A great buy for beginners and pros alike, as hours of pleasure await...order yours now! 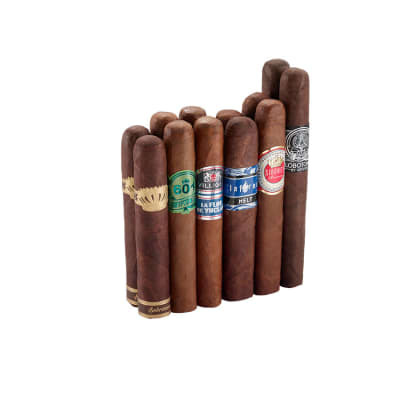 I wasn?t expecting much from this collection but I ended up finding some cigars to put omg regular list. There were no stinkers in this mix. 3 Of the 5 were real eye openers! The Blackburn and Indomina are ok, but the rest are very bad. The Truce is poorly constructed, and the Huntsman is horrid. I do NOT recommend this collection.